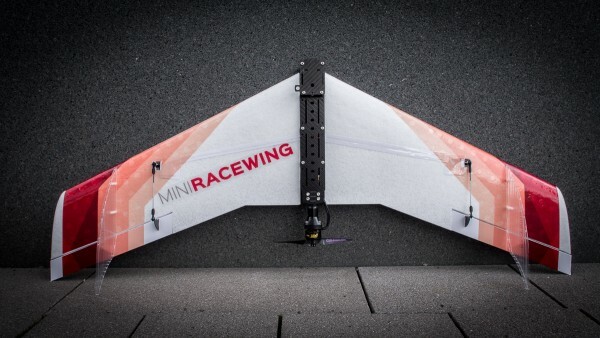 The MiniRaceWing is discontinued. It's succesor is the FLYBOT -FLUX! It is the first crashresitant FPV plane that is not only easy to transport but also fast and agile and just plain fun to fly. The special developed wing mount does not only protect the wing from damage during a crash, you can also dismount the wings in seconds for transport. We optimized the wing for directional stability, speed and efficiency. No more worry during tight turns or landings. The MiniRaceWing will be stable in all flight attitudes at all speeds. No matter if you fly freestyle, race or just want to have plane with you after work or on holiday, the MiniRaceWing is always the right choice. Related links to "MiniRaceWing Kit - FPV Race Wing"
Customer evaluation for "MiniRaceWing Kit - FPV Race Wing"